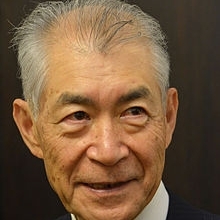 Dr. Tasuku Honjo is Professor of Department of Immunology and Genomic Medicine, Kyoto University, and also Chairman of Board of Directors, Shizuoka Prefectural University Corporation. Dr. Honjo is well known for his discovery of activation-induced cytidine deaminase that is essential for class switch recombination and somatic hypermutation. He has established the basic conceptual framework of class switch recombination starting from discovery of DNA deletion (1978) and S regions (1980), followed by elucidation of the whole mouse immunoglobulin heavy-chain locus. Aside from class switching recombination, he discovered PD-1 (program cell death 1), a negative coreceptor at the effector phase of immune response and showed that PD-1 modulation contributes to treatments of viral infection, tumor and autoimmunity. Cancer immunotherapy with PD-1 blockade has been approved for many types of cancer and revolutionalized the concept of cancer treatment. For these contributions, Dr. Honjo has received many awards, including Imperial Prize (1996), Japan Academy Prize (1996), Robert Koch Prize (2012), Order of Culture (2013), Tang Prize (2014), William B. Coley Award (2014), Richard V. Smalley, MD Memorial Award (2015), Kyoto Prize (2016), The Keio Medical Science Prize (2016) and Fudan-Zhongzhi Science Award in Biomedicine (2016). Honored by the Japanese Government as a person of cultural merits (2000). Elected as a foreign associate of National Academy of Sciences, USA in 2001, as a member of Leopoldina, the German Academy of Natural Scientists in 2003, and also as a member of Japan Academy in 2005.